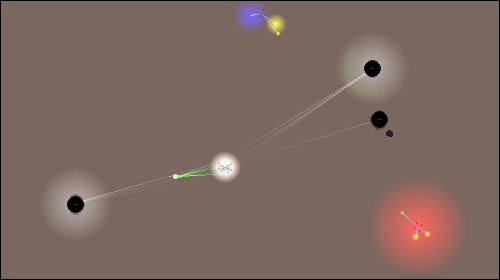 The Lila Experiments is another abstract shooter by Jph, in which the player's ship is constantly attracted to several black orbs on screen. Collect green orbs before they turn red, and use the Z key to shoot at red orbs to turn some of them back to their original color. Your shots are limited to a gauge shown at the top of the screen. Collect more green orbs to increase this meter, and hold the X key to keep your ship stationary. Hold the end key to restart the game at any time or view the instructions.